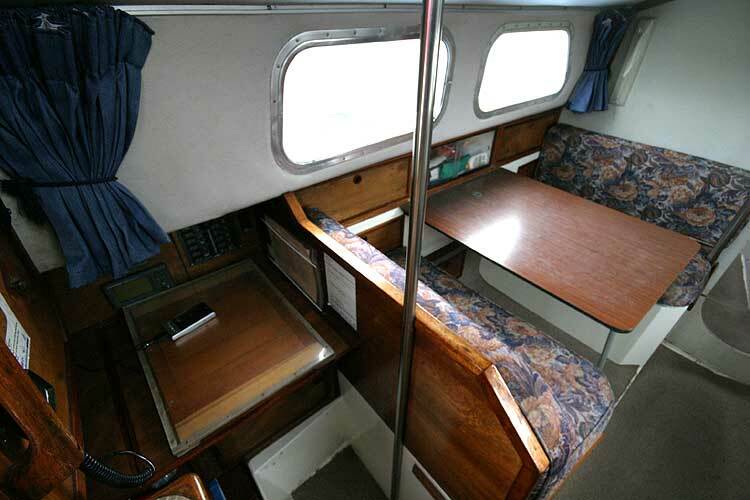 This Centaur with A layout is a lovely example in great condition with a custom chart table replacing the port quarter berth. 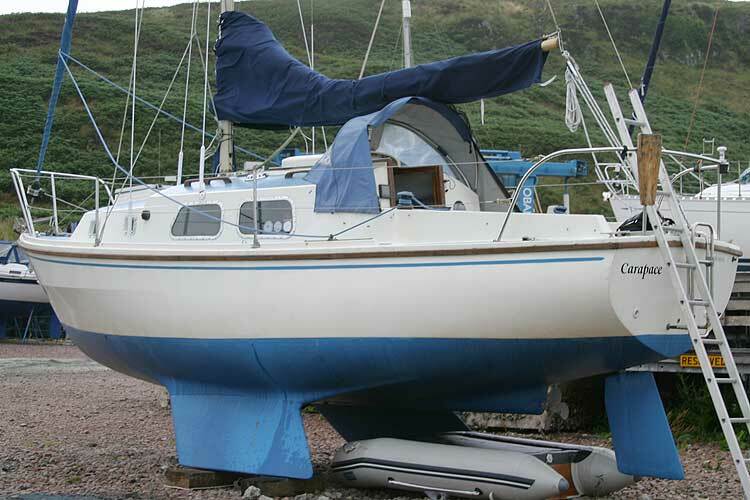 Sailed by the current owner initially out of Plymouth, then Salcolme in Devon, the Scilly Isles, Irish sea, Ribble, Ireland, Isle of Man, Clyde and the West Coast of Scotland to Oban where she is currently lying. 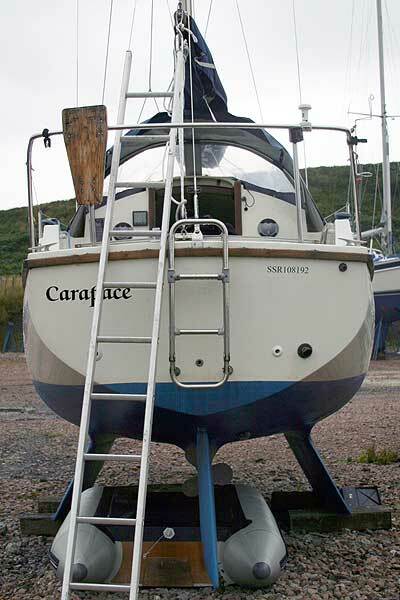 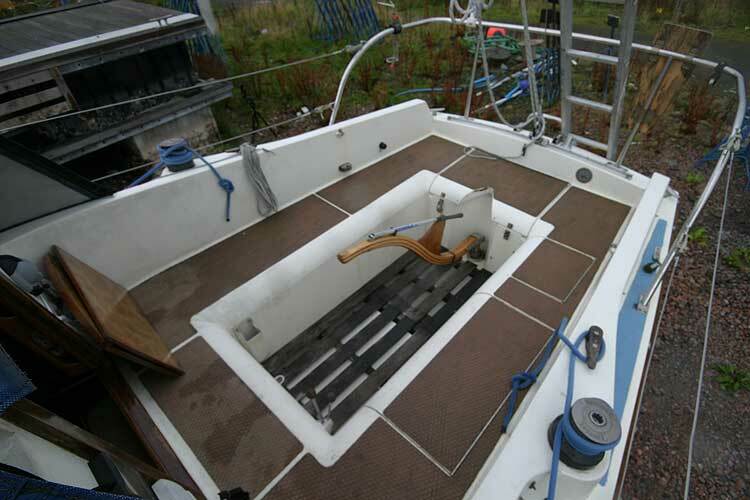 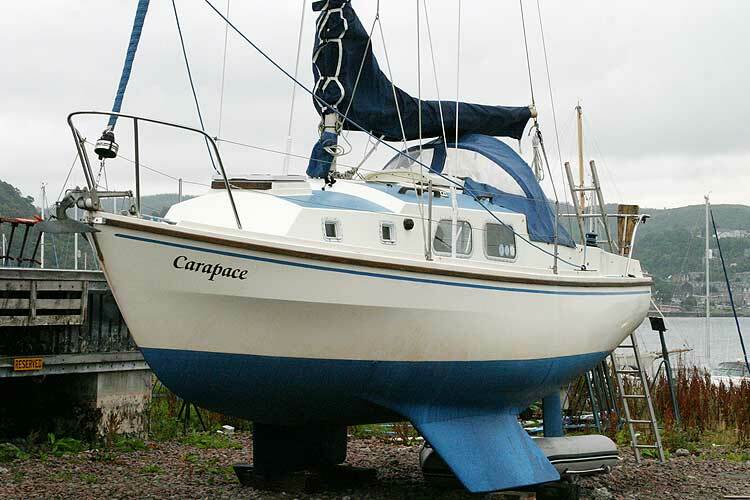 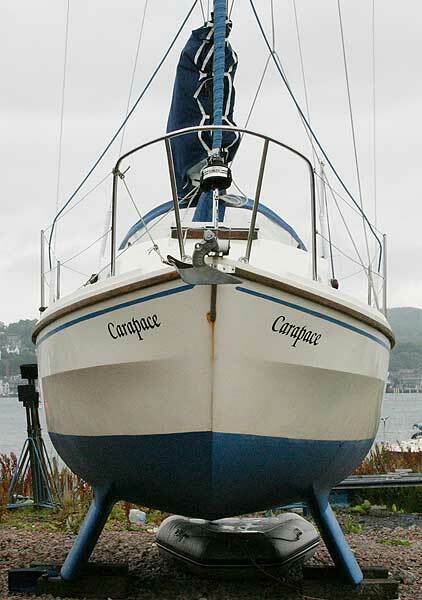 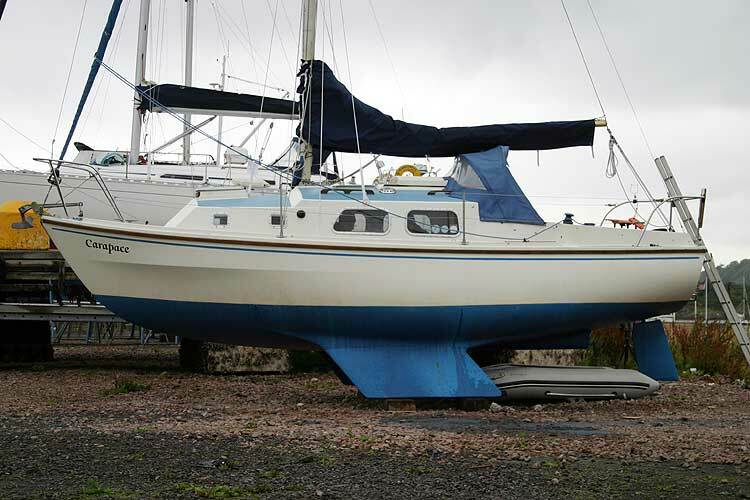 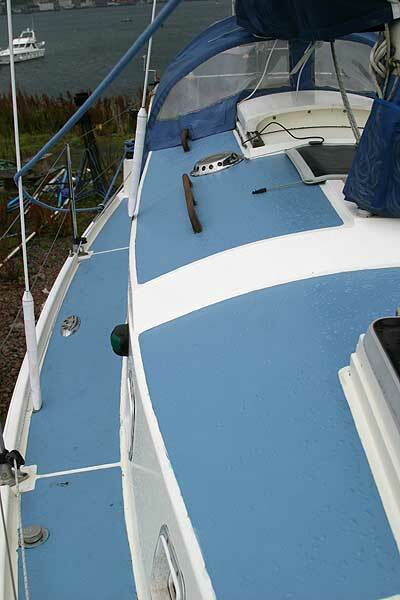 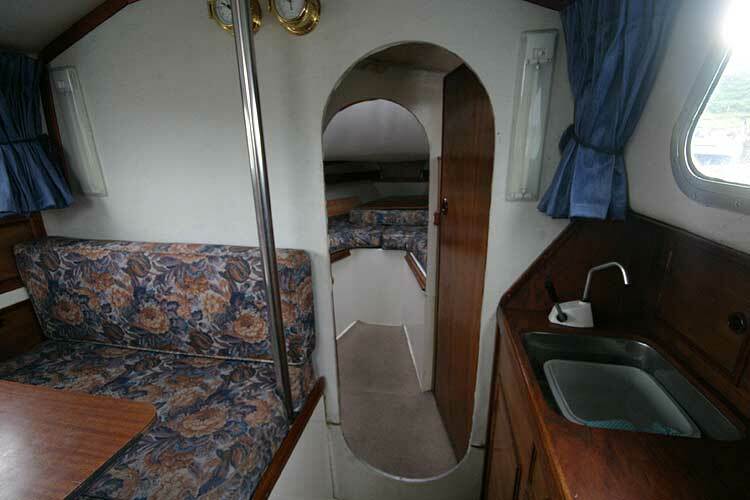 Well maintained by the current and previous owners she is a lovely cruising boat at an excellent price. 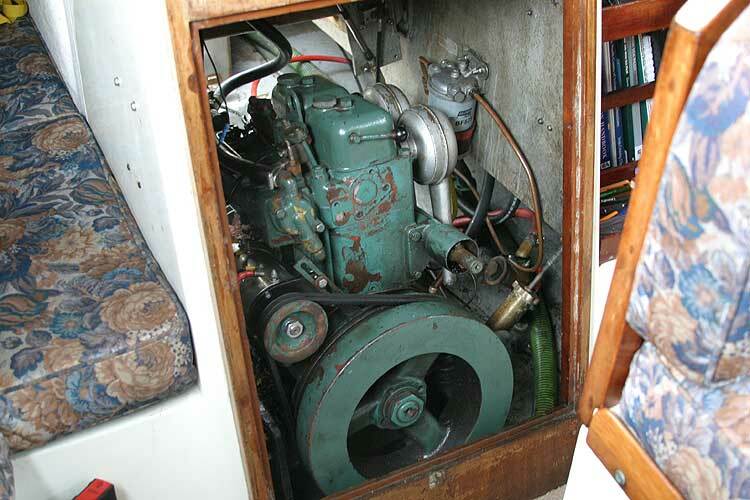 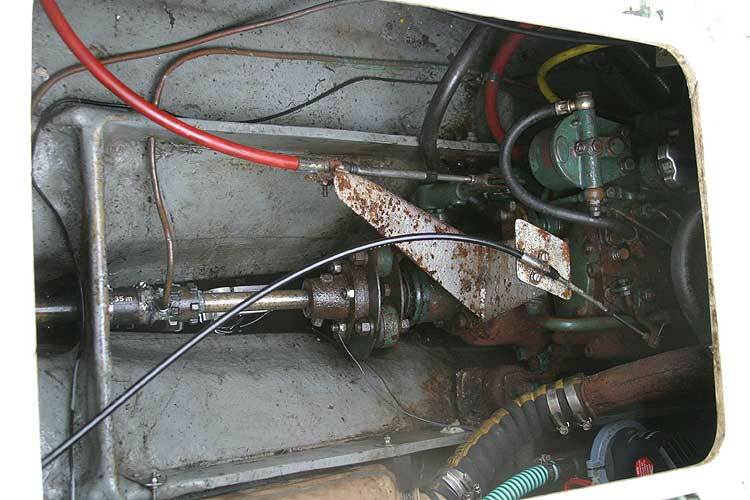 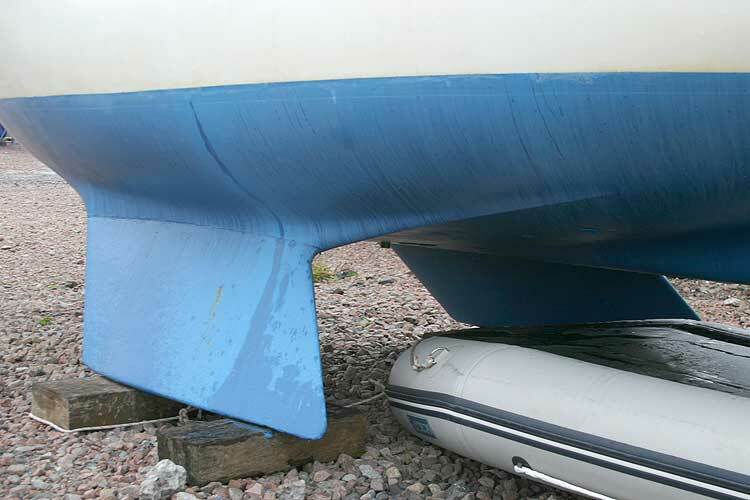 The engine was fully refurbished in 2000 and has done around 850 hours since, with a new starter/generator fitted in Summer 2010. 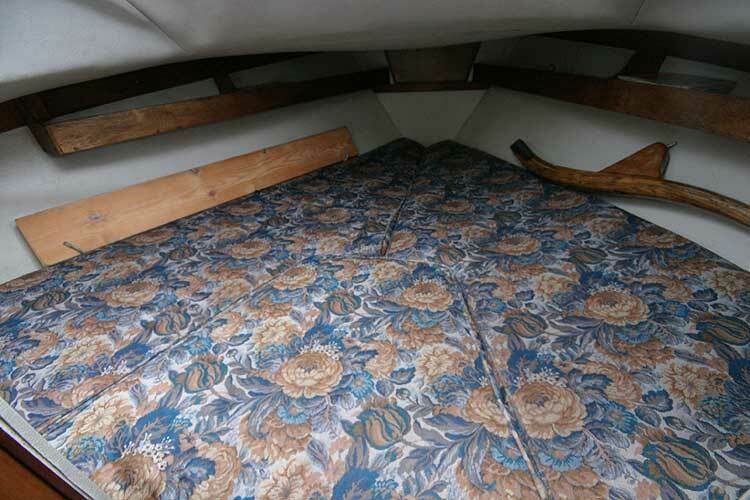 Double v berth in fore cabin. 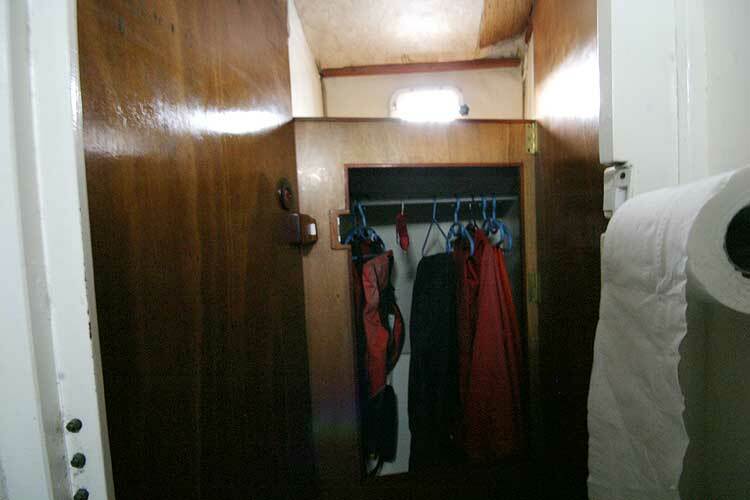 Heads compartment to port, wet locker to starboard. 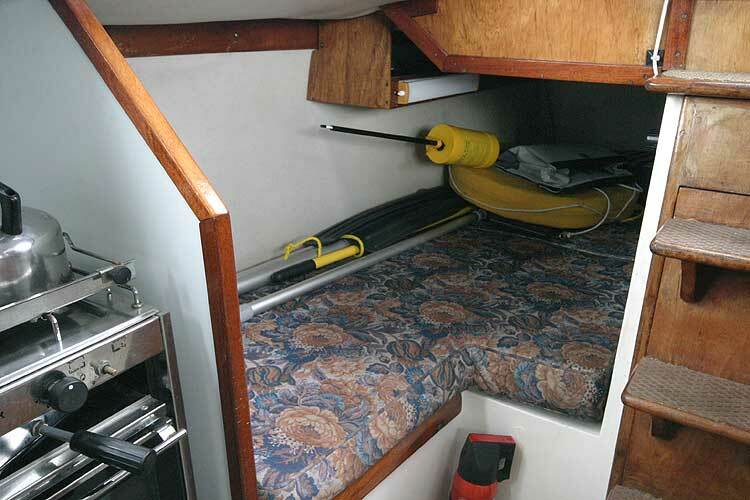 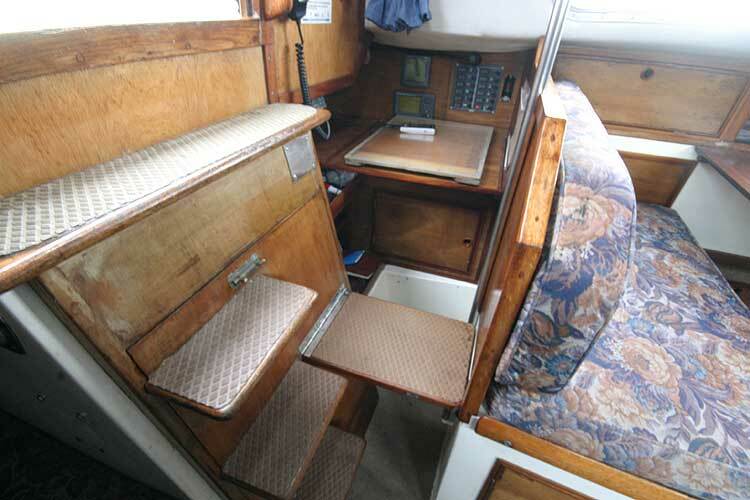 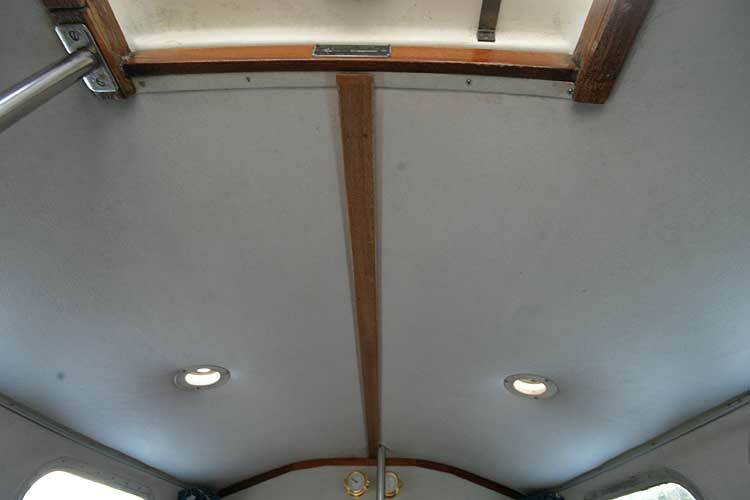 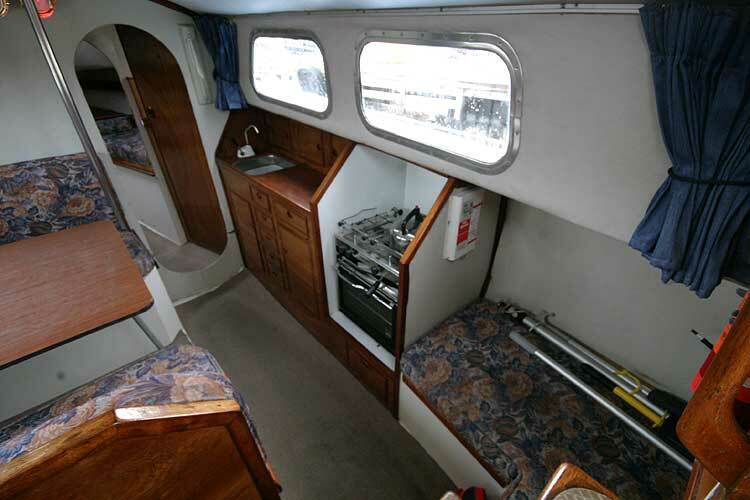 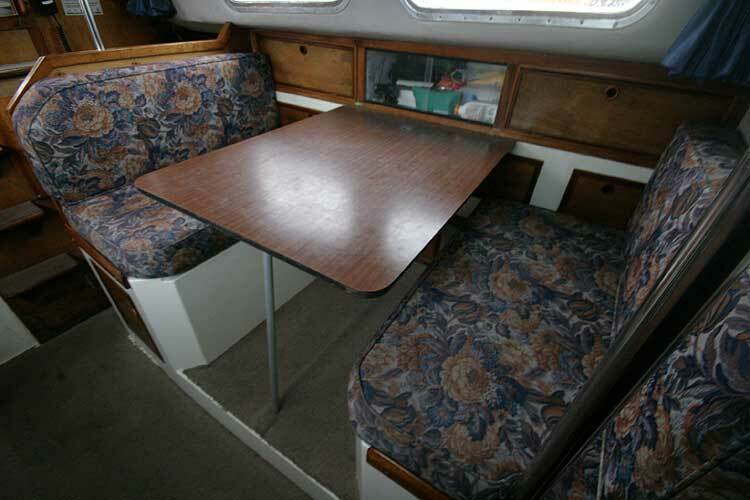 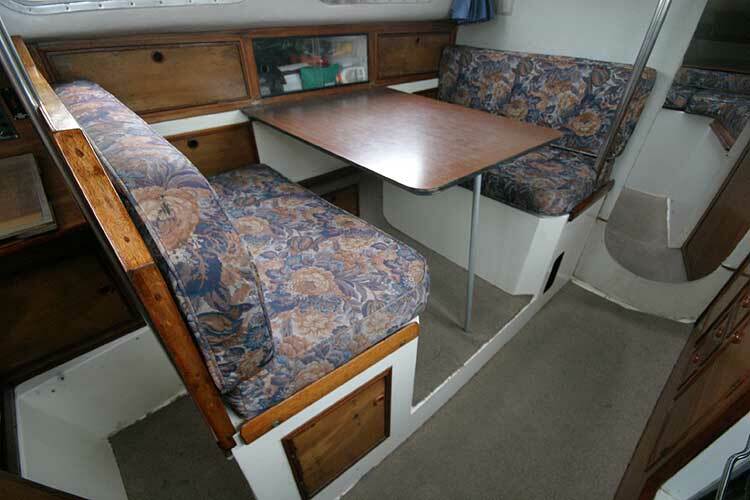 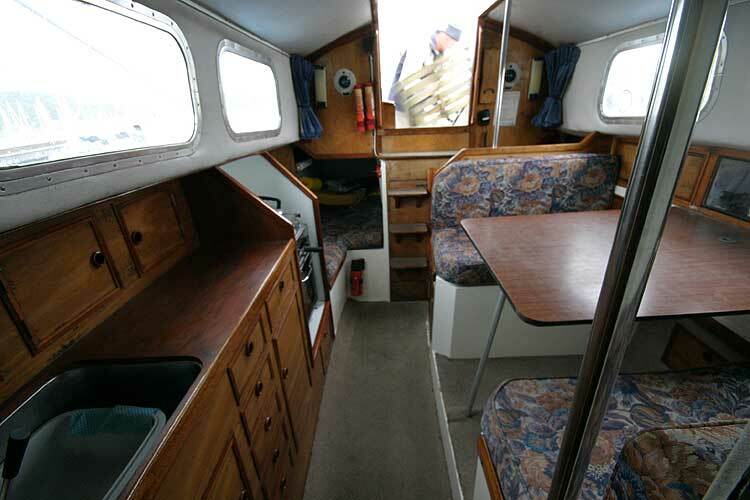 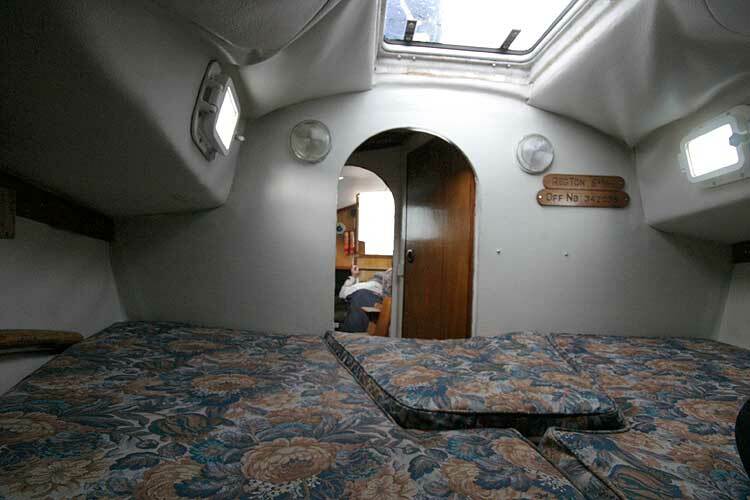 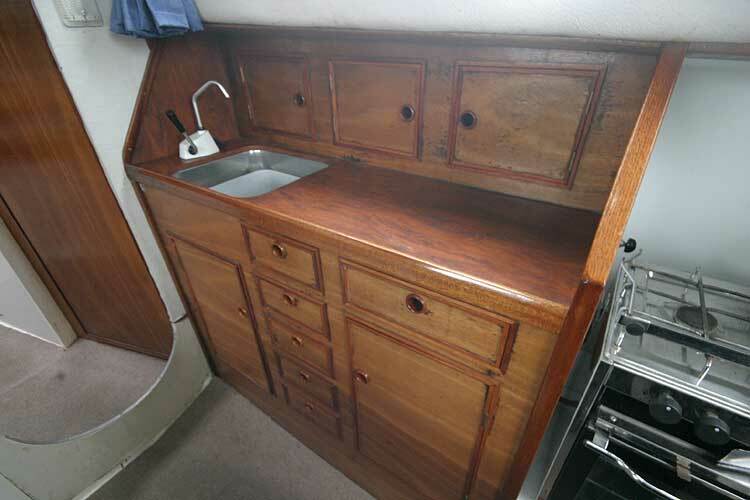 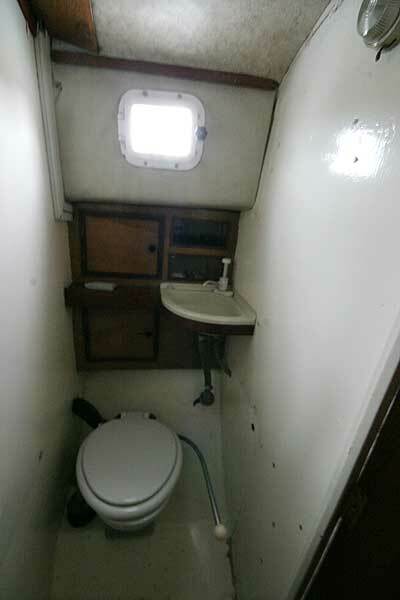 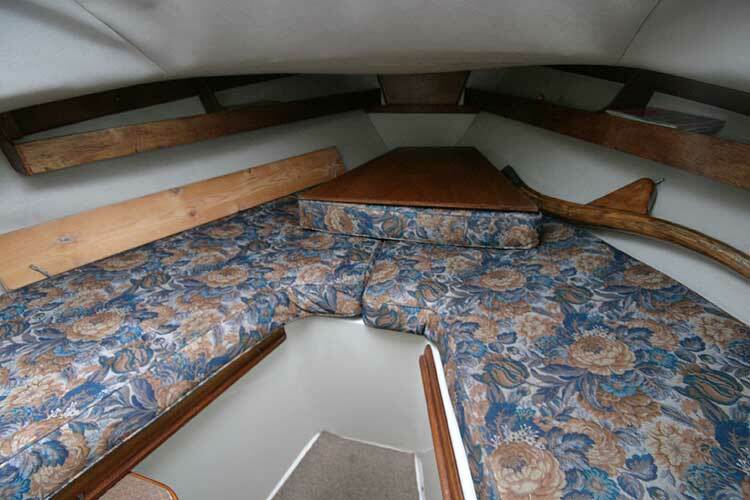 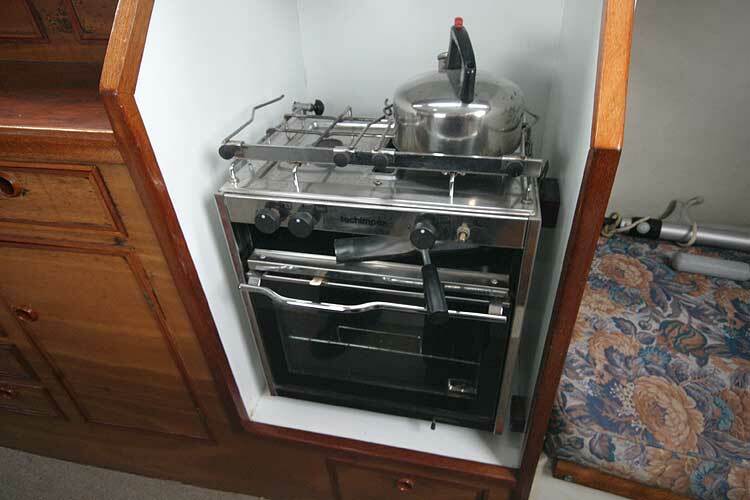 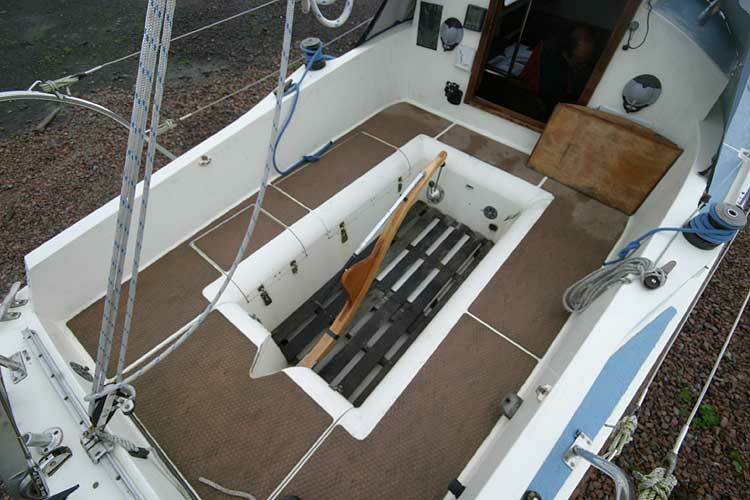 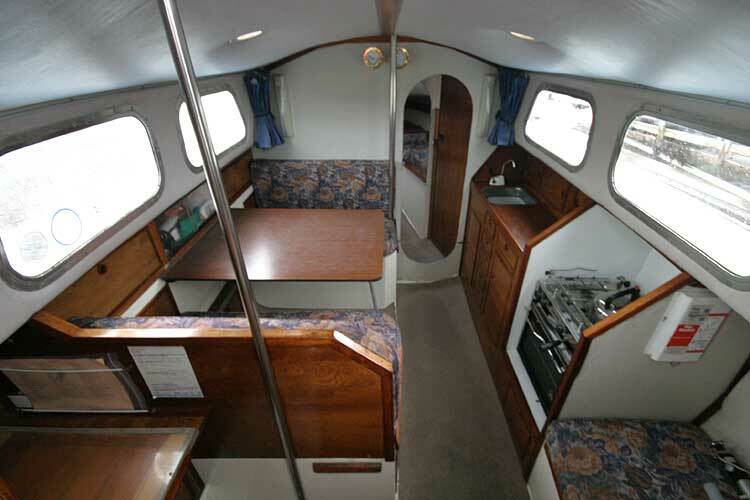 Saloon with table dropping to form a double berth, quarter berth and chart table with locker. 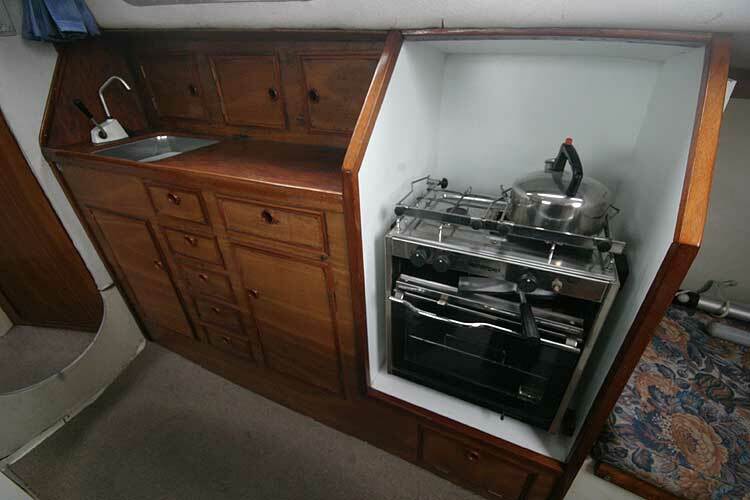 Gas cooker, cool box and sink. 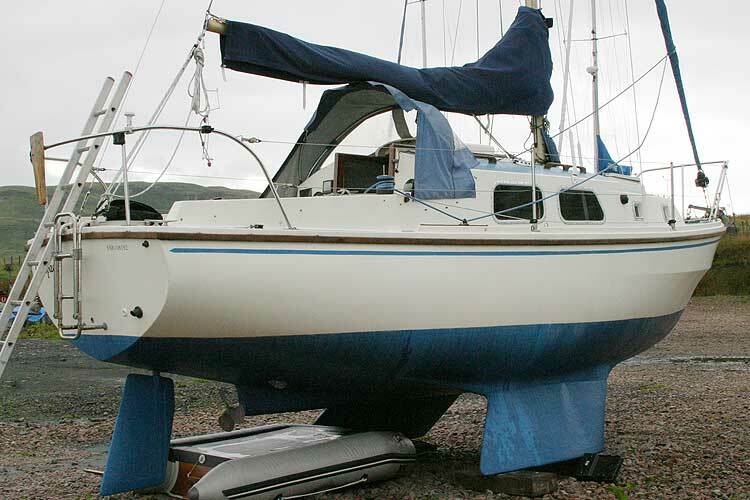 Genoa by Arun sails unknown age but thought to be around 2000- good serviceable condition. 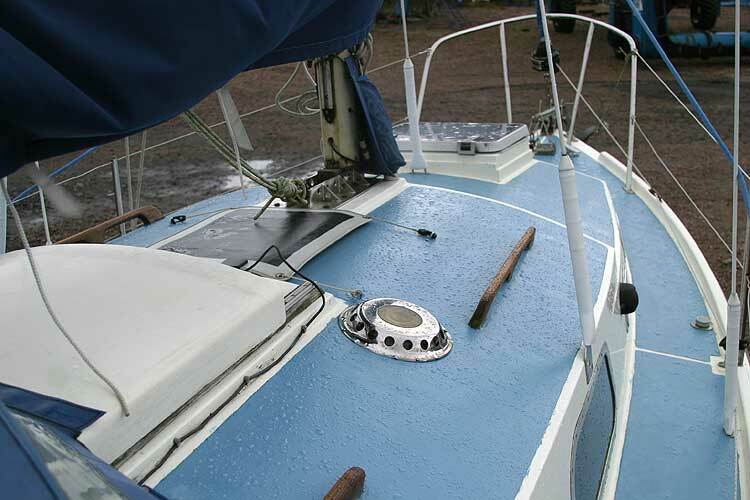 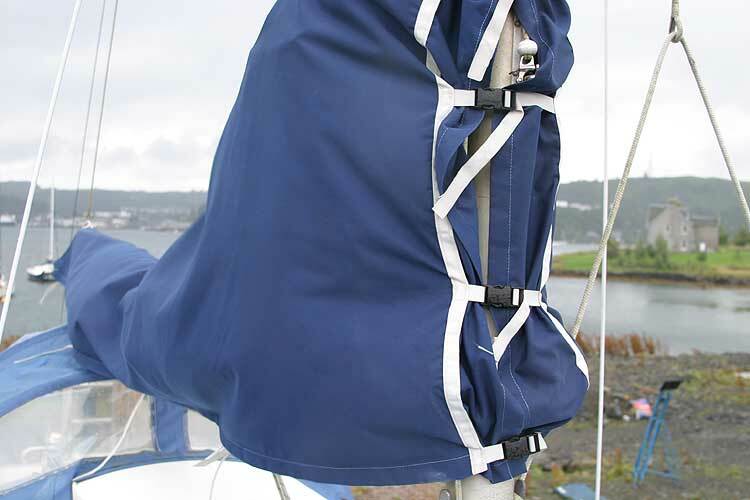 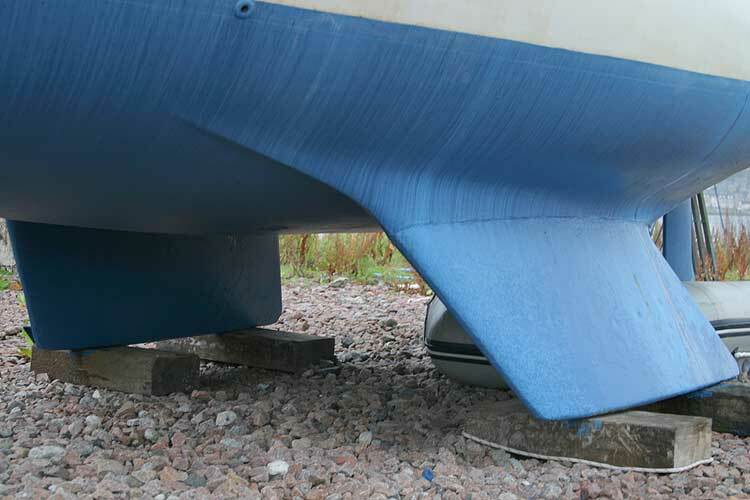 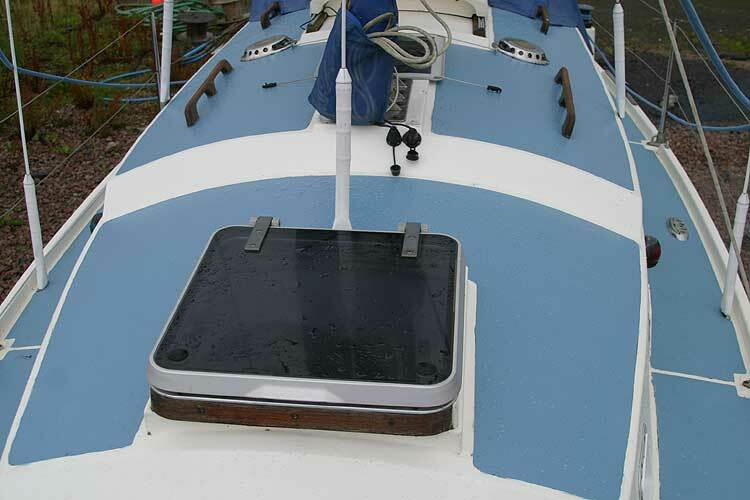 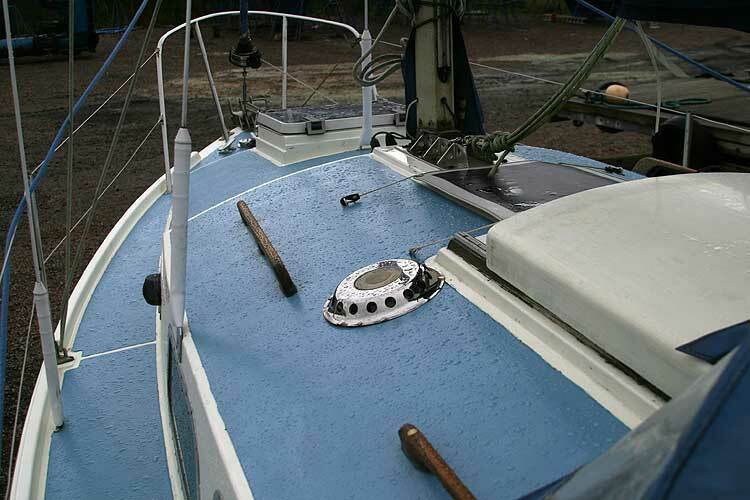 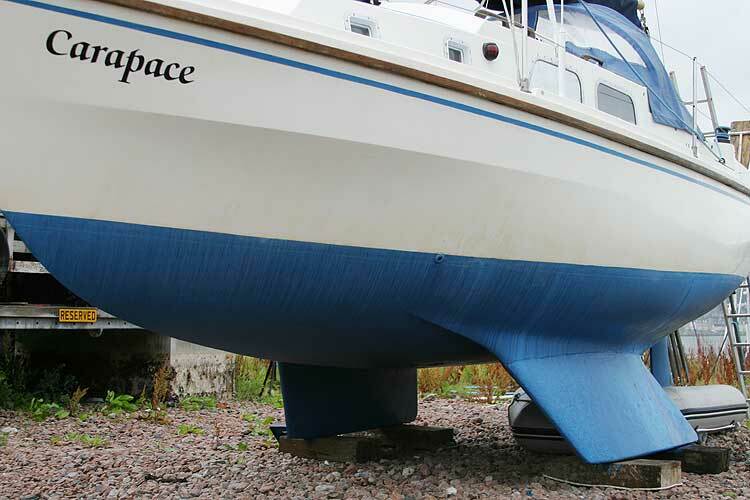 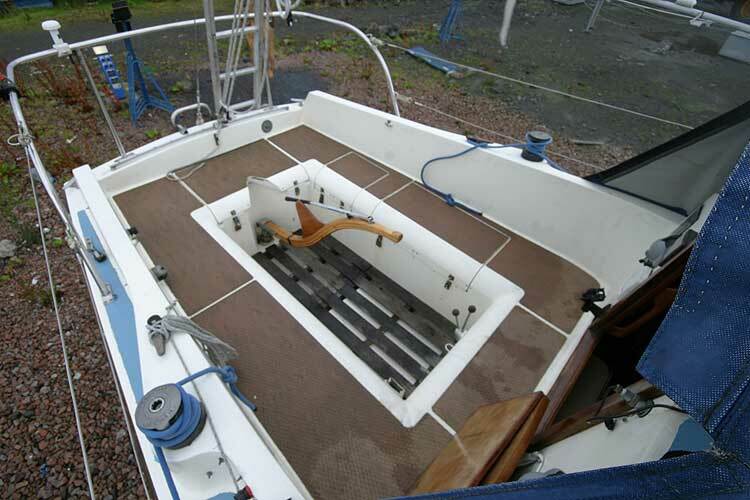 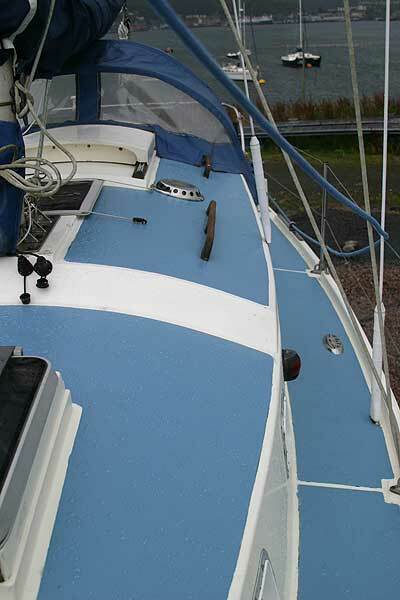 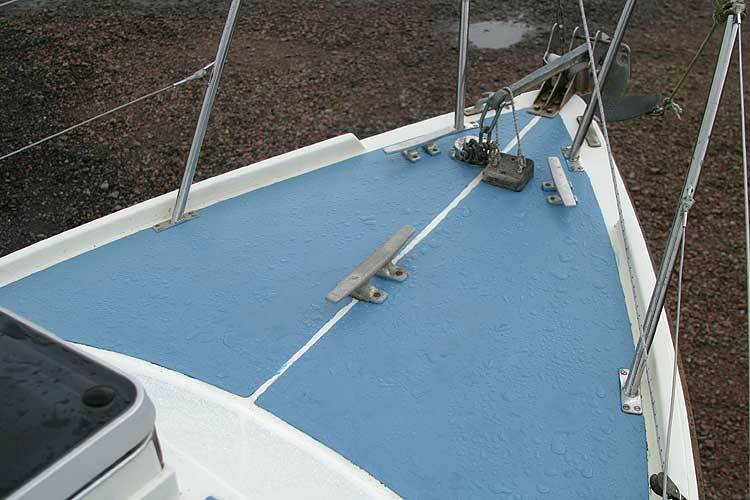 Mainsail by Goacher new in 2009 very good condition. 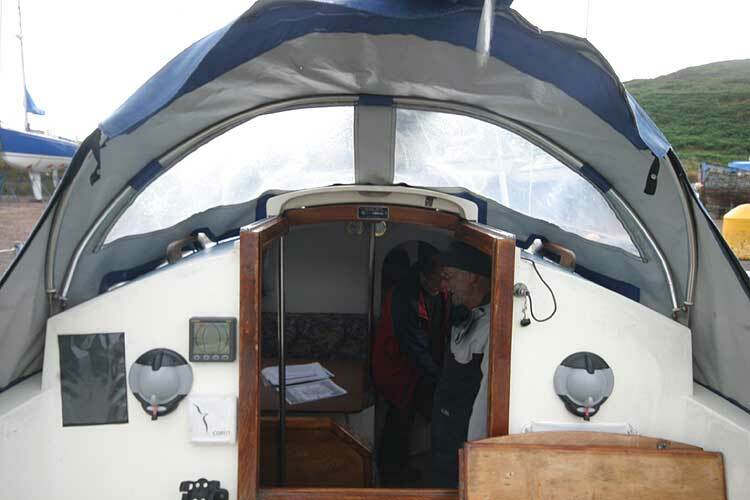 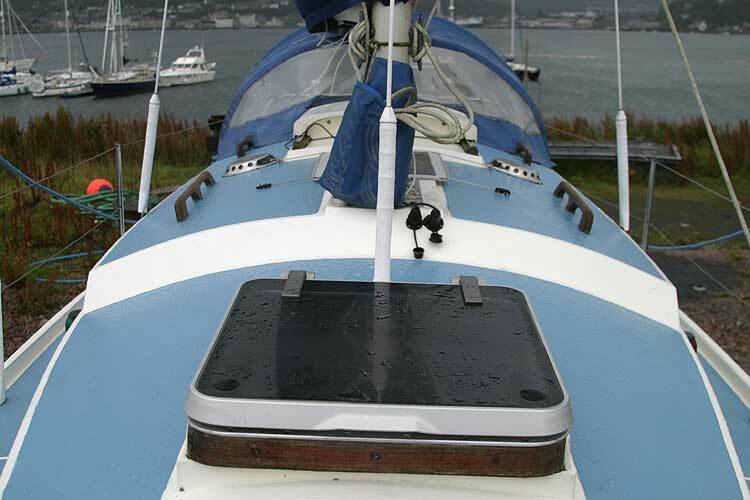 GPS, Depth sounder, VHF, Autohelm, Anemometer (missing 1 cup). 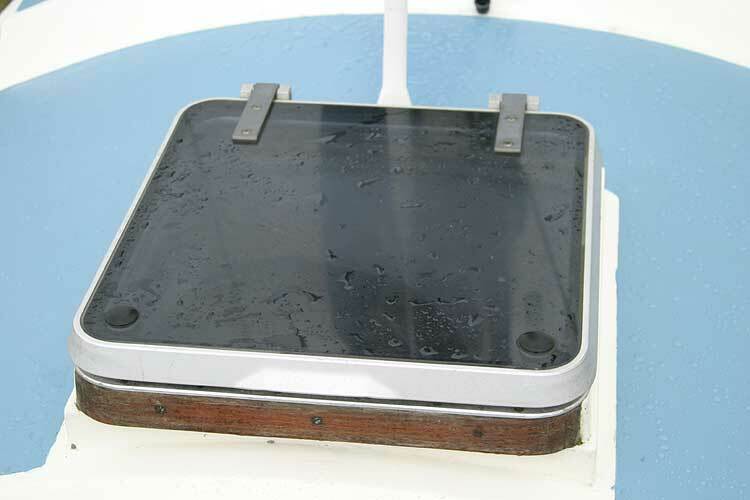 A hand held chart plotter is available by negotiation. 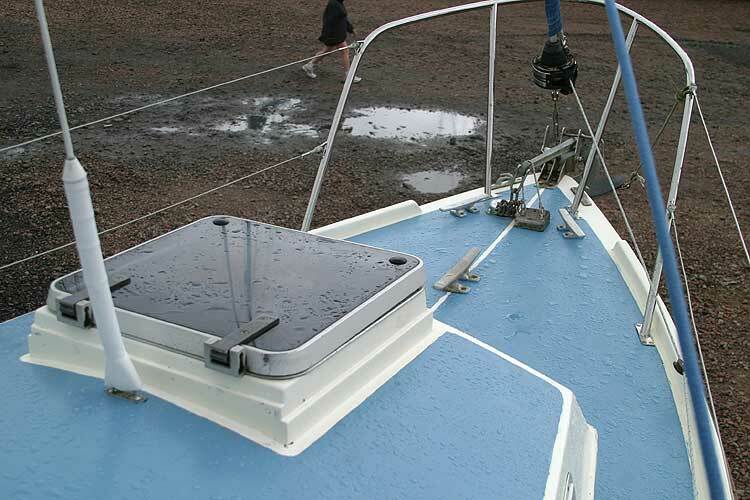 12 volt with 2x85Ah batteries, Solar panel. 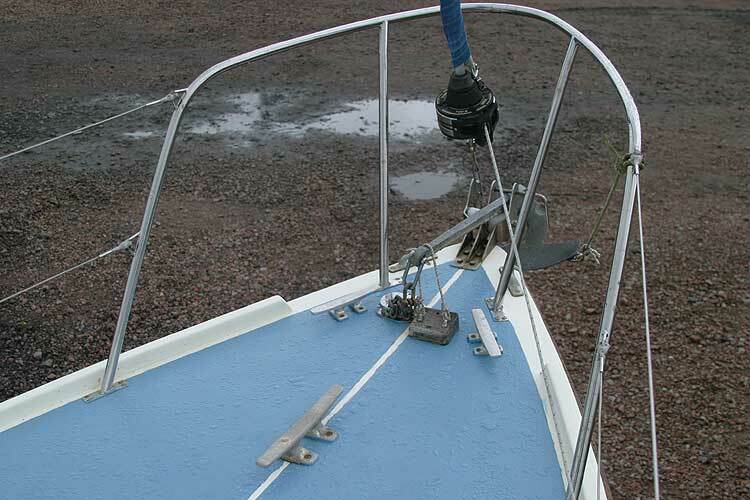 Life buoy, dan buoy, lifebuoy with rescue line, 3 anchors and chain. 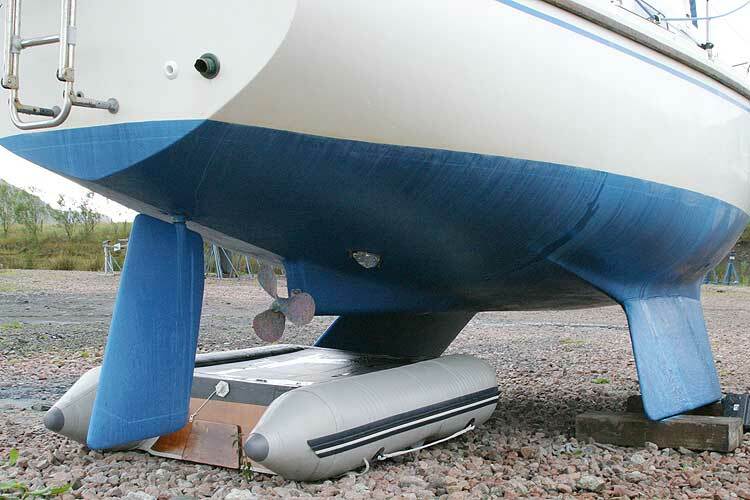 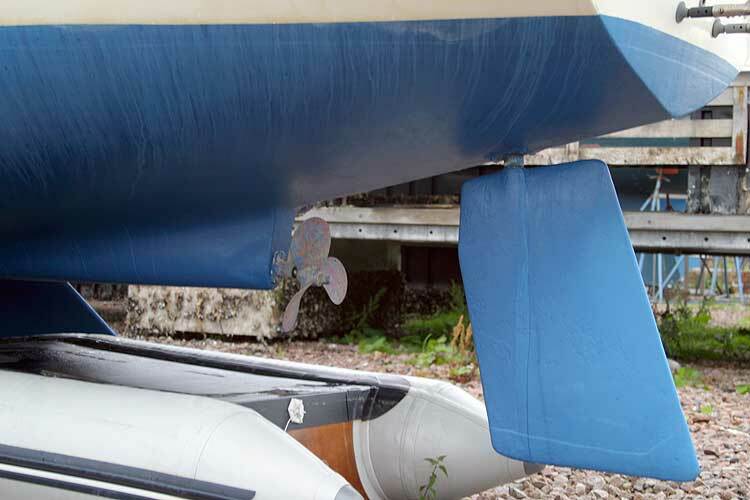 An inflatable tender, new in 2009 is available by negotiation. 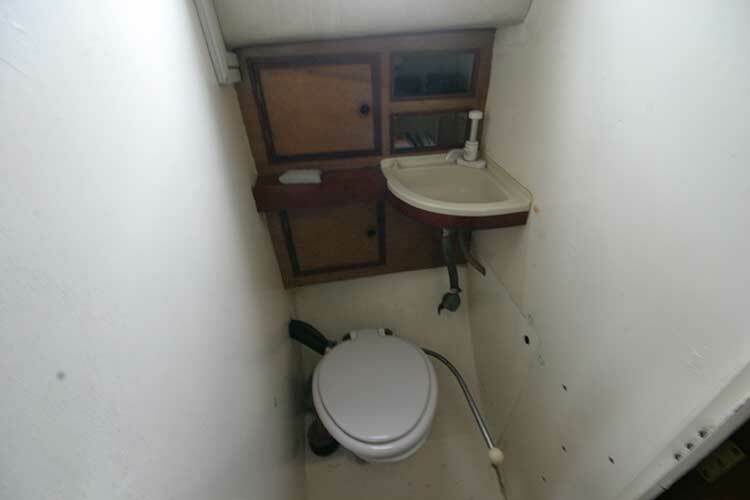 A cockpit tent is also included. 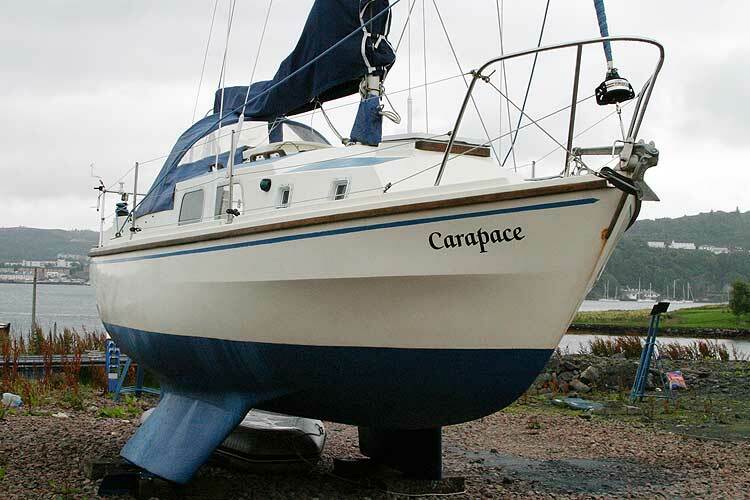 This boat is no longer for sale and remains here solely as an information resource for those researching Westerly Centaur A's.